India Public Sector: Is Air India set for home flight? Is Air India set for home flight? IS THE Maharaja set for home flight? This seems to be the scenario from numerous media reports doing the round in last two days. The Tata Group is believed to have held preliminary discussions with senior government officials for participating in the privatisation process of the beleaguered airline. a stake in Air India, which JRD Tata launched in 1932. If the talks succeeds, Air India's history may come full circle. Talks are said to be at a “serious” stage as of now. At this stage, nothing can be said whether the deal will go through, the Tatas’ acquisition would bring a lease of life for beleaguered Air India and increase competition in the Indian skies. There are also reports that Tata group might try to rope in its existing joint venture partner Singapore Airlines to buy a stake in Air India. The Tatas run two joint venture airlines — AirAsia India and Vistara — both of which are relatively small operations compared to Air India. Being late entrants in the domestic market, the rise of both carriers has been hindered by slot constraints and pilot shortage. On the other hand, Air India is an established brand and has the third largest share in domestic market and second largest share in international market (ex-India) with prime slots in domestic and international airports. This makes it attractive for potential suitors. Earlier, Tata Group made two unsuccessful attempts to acquire stake in the airline in the previous National Democratic Alliance regime. The group's chairman emeritus Ratan Tata, an aviator himself, is passionate about the sector and he was the driving force in the group's re-entry into the airline space with AirAsia and Vistara. The Tatas have a long history in aviation. JRD Tata began the first air mail service by an Indian company – operating a flight between Karachi and Mumbai in October 1932. This was followed by passenger services within the country, and heralded the birth of Air India. Tata Airlines became a public company in 1946 and was renamed Air India. 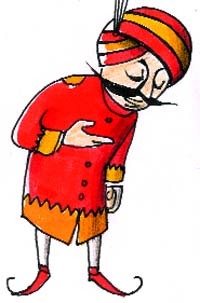 Its iconic mascot Maharaja was also created in the same year. The government bought 49 per cent stake in Air India in 1948, and nationalised the carrier in 1953. However, JRD Tata remained its chairman until 1978, when he was removed from the post by the Moraraji Desai-led Janata Party government. Almost a decade later, Ratan Tata was named the chairman of Air India. He held the post for three years, from 1986 to 1989. Inter-ministerial consultations had taken place on the future road map of Air India and the Cabinet will have to take a call on the matter. Air India is under a Rs 30,000-crore government bail-out plan and is saddled with a debt of over Rs 46,000 crore. However, the government is yet to take a decision on selling stake in Air India. “They (civil aviation ministry) have raised some reservations on privatising Air India,” said a finance ministry official, and added that the matter was being deliberated upon. “They are in favour of continuing operating the national carrier by retaining a majority stake,” the official said. Meanwhile, government think tank Niti Aayog vice chairman Arvind Panagariya said on Thursday that Air India should be privatised as its debt level is "simply not sustainable" and government action on the airline's future course is likely within six months. The government is looking at various options, including possible privatisation, to revive the loss-making national carrier. "I think really where Air India stands now, it is almost a matter of existence. The debt is already about Rs 52,000 crore (and) we are adding of Rs 4,000 crore debt every year so this is simply not sustainable," Panagriya said.